Introducing Cindy Mahew, Louisvillian, mother of two, wonderful person, and a really great massage therapist working out of her Front Street studio. Book some bliss today. 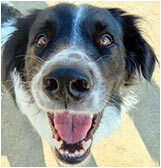 Meet Vince Tengler, a people-loving 3 year old rescue dog sporting some DNA from the land down under – maybe Cattle dog or Aussie Shepard. Vince finds the Miner and John Breaux statues especially fascinating on his daily Downtown walks. He does not, however, like balloons. June is busting out all over! The Street Faire kicks off June 13 with The BoDeans. Taste of Louisville is June 7, following a spectacular First Friday on June 6. The Sonic Boom Bike Race is June 8. Concerts in the Park starts June 12. We waited all winter and now we can finally look forward to all the local fruits, vegetables and wonderful handmade and homemade artisan products at the Farmer’s Market, every Saturday through October. We’re READY FOR SUMMER! This summer there will be bike racks behind Bittersweet and next to Por Wine bar on Street Faire nights. Pedal on! Pedal in! Shows will be held at 2 pm and 4:30 pm for all dance classes and at 6:30 pm for the Performance Company Show at Louisville Middle School. Tickets are $5 for the early shows and $7 for the 6:30 pm show. Don’t forget to register now for all the great theatrical kids summer camps in June! This annual event features the work of photographers from all over the country and includes product demonstrations, a senior tea on June 4 and wine and cheese reception on June 6. It is free and open to the public. 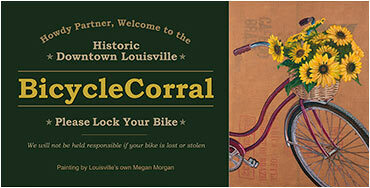 For more information visit www.louisvilleart.org. The expressive paintings of Julie Barbera, portraying her stay in Baja, California, will be featured at the studio along with good food, good wine and live jazz. Glenn Grassi has moved his Reclamation Design and StageCraft Studio into the workshop behind By Chance and Bella Frida at 924 Main St. Stop by during First Friday Artwalk and see many one-of-a-kind creations... And a giant Dragon. 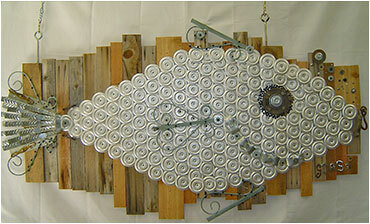 Glenn uses tons of reclaimed materials every year to fabricate theater productions, unique home designs and affordable, multi-media art. OTC presents the 2014 Oscar winning documentary 20 Feet From Stardom about the most famous back-up singers, “the unsung heroes behind the greatest music of our time.” BBQ, bar and music start at 6 pm. Film starts at 7 pm. For info on tickets, dinner/movie special, and special guests visit www.oldtowncinema.org. Bring your sack lunch and join the ‘Brown Bag’ discussions on Louisville history, sponsored by the History Museum. Jennifer Strand, who wrote about Bocce for the Spring 2014 Louisville Historian, will lead a discussion about fun aspects of the game and how the town’s interest in Bocce developed. 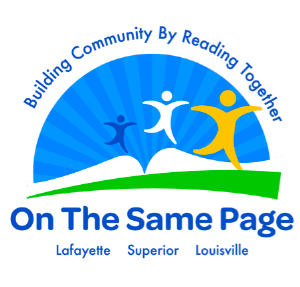 The fourth annual ‘On The Same Page’ community reading program kicks off with the title announcement for this year’s selection. Louisville, Lafayette, and Superior are once again sponsoring this three-community event that brings family, friends, and neighbors together to read, discuss, and participate in activities related to the book’s theme. And don’t forget to check out the wonderful Summer Reading Programs the library offers. Massage Therapy for the Body and Soul is a wonderful place to cool off and get recharged from the stresses in life! Come in today for an hour or so of relaxation and rejuvenation with owner Cindy Mayhew. 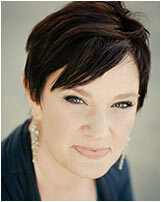 She specializes in Back and Neck Pain, Scoliosis, Headaches, Post-Surgery Recovery, TMJ, Arthritis and more. First time clients receive $10 off and there are a variety of package and frequent buyer specials, catered to your needs. Tilt! Pinball is Louisville’s one and only pinball arcade! Go back in time with a wide range of pinball machines, old school video games, pool, ping pong, foosball and air hockey as well as giant classic board games. Come in and experience Tilt! “Where it’s always 1978”! We’re sad to see Nettie’s Creations leave downtown Main Street, but her lease is up and she’s moving at the end of June. Nettie is negotiating for a space on South Boulder Road so we’ll still be able to purchase her beautiful flowers and arrangements. Check out the website or her facebook page for updates on the move.